One of the best ways to better code is to use TagSwap. Learn from others who have done it before! Lasso 8.6 and 9 introduce the concept of Lasso "Instances", which are similar to Lasso "Sites" in Lasso Professional 8.5 and earlier. 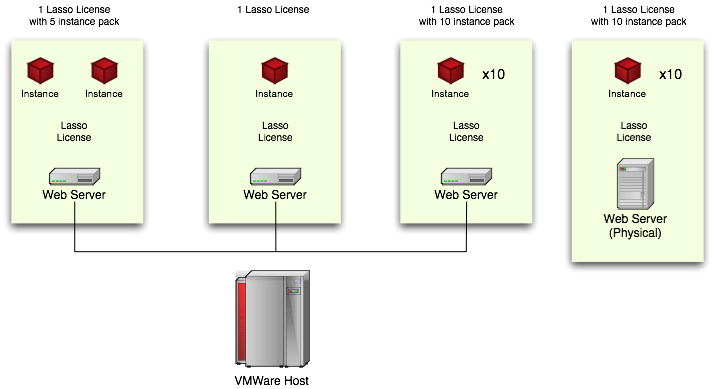 The licensing model has changed from earlier versions of Lasso, however this only affects Lasso 8 and 9 users, as earlier versions were only ever capable of one "Instance". *Note that "Sites" are not the equivalent to "websites" or "domains", but just a term we now more clearly refer to as "instances". Each server, physical or virtual, requires a Lasso license. If all your web applications and web sites you run on one server are going to be running "together", and do not need to be partitioned into their own "sandbox", all you need is a single Lasso license that comes with a minimum of 3 instance. You can use only one instance, or divide your single site into up to three instances for separation of processing. If you require significantly different environments between web sites/applications for logistical, sandbox, or security reasons, you will need to run more than one "instance"of Lasso. These instances are managed as "sites" in Lasso Professional 8.6, and as separate executable environments in Lasso Server 9. They have their own LassoApps, their own Users, Database Hosts, email queues and more, and with Lasso 9 are bound to different FastCGI ports. Lasso 9 also allows a different OS-level user to be used as the file system "owner" for security purposes. In the above scenario, four Lasso licenses are required, but only 3 of these licenses require multiple instance packs to be purchased. Note that the restriction is not placed upon IP addresses nor on the number of web sites or virtual hosts running on each machine. The web server #2 running one instance of Lasso may have more IP Addresses bound to it than the other 3 servers, and may in fact host more virtual hosts, but only one instance of Lasso is required. You can run an infinite number of websites from one instance. If you turn off this instance, all of it's websites will turn off. However, if you segregate all of your websites into two instances, and turn one off, than only the websites on that instance will turn off and the others will continue to run interrupted. Alternatively, on a very large website with extraordinary traffic, you may wish to run several servers for network scaleability or redundancy, where each server would require a seperate instance. This can be achieved under a cloud license - one company with more than one server load balancing. This licensing model is very much tied to resource usage. One instance of Lasso can run thousands of small sites or a part of one massive site, depending on the hardware involved and the needs of the system - so long as they can all share settings and security. Most installations of Lasso should only require one instance. Companies whose content is trusted and interoperational between systems will only use one instance. Should your server need complete sandboxing between two systems, you will need multiple instances. You should choose the number of instances you require based on the level of security and stability of the various websites and/or systems cohabitating on the same hardware. Treefrog Interactive has a virtual machine running Elationships.com, a custom solution built in Lasso 9. On that same VM are a number of LEAP™ 5 web sites, also running on Lasso 9. Elationships.com requires access to data types tailored specifically to that application. LEAP™ 5 runs a virtual URL scheme requiring a specific atBegin method. It would not be efficient, nor as secure, to have both environments running via a single instance of Lasso 9, therefore two instances are required. 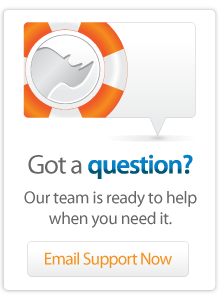 In this situation, one Lasso Server 9 license is required, with the 5-instance license level. Lassosoft.com runs on LEAP™ 5 and Lasso 9. Several other web sites run on this same server, however there are no additional security or customization requirements that dictate a division into separate Lasso 9 instances. Therefore this one server requires one base level Lasso Server 9 license, with no upgraded number of instance licenses.